Wells Fargo & Co (NYSE:WFC) reported a growth of 1.8 percent in its fourth quarter net income of $5.71 billion compared to $5.61 billion posted for the previous year, recording a per-share earnings of $1.02 on preferred dividends payments, as against $1 last year. Revenue is at $21.44 billion, up 3.8 percent, beating analysts expectations of $21.23 billion as per Thomson Reuters poll. 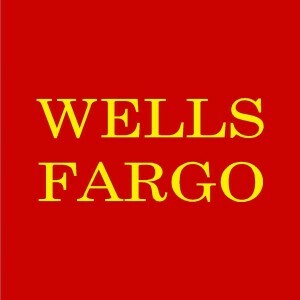 In a statement, Wells Fargo & Co (NYSE:WFC) CEO John Stumpf said that “Wells Fargo had another strong year in 2014, with continued strength in the fundamental drivers of long-term performance: growing customers, loans, deposits and capital.” An increase in the bank’s loans portfolio accounted for a net interest income of $11.2 billion, from a fourth quarter loan value of $849.4 billion. The current loan amount figure represents a 4 percent growth from the previous year, or an increase of $36.1 billion. Consumer loans surged 10.3 percent, a substantial rate as against 6.8 percent the previous year, while consumer loans recorded 6 percent growth, down from last year’s 6.2 percent. Noninterest income, pushed by credit card as well as trust and investment fees, is at $10.3 billion, while residential mortgage related income is at $44 billion. Compliance costs, along with payments for salaries and incentives, pushed Wells Fargo & Co (NYSE:WFC) expenses 4.7 percent higher than last year and above what many analysts had expected. Ratio of expenses to revenue is at 59 percent, the highest for the last five quarters, but within the bank’s target range of 55 to 59 percent. The bank, the fourth largest in the U.S. in terms of assets, has an exposure of 2 percent of its loans portfolio in the oil sector, which impacted its earnings on account of falling oil prices. Chief Financial Officer John Shrewsberry notes that Wells Fargo & Co (NYSE:WFC) is examining such exposure, assessing risk ratings, and could increase reserves when needed. The bank, however, sees no growth on the horizon for loans on the energy sector. Wells Fargo shares is currently trading at $51.25, down $0.60 or 1.16 percent at the NYSE.